A harsh environment weight indicator was recently installed for Harewood Estate Winery in Denmark, Western Australia. Available from Accuweigh , the X320 harsh environment weight indicator was fitted to an existing scale basework and will be used for weighing grapes. Aaron Nussey from Accuweigh’s Albany branch south of Perth sold the X320 harsh environment weight indicator to replace the client’s existing digital weight indicator that had failed due to the wet environment. The X320 harsh environment weight indicator was calibrated and then certified for trade use with a weighing capacity of 2000kg x 1 kg divisions. The harsh environment weight indicator’s housing uses a food grade, impact resistant composite alloy that incorporates a double ‘o’ ring seal to offer superior sealing performance over traditional stainless steel enclosures. 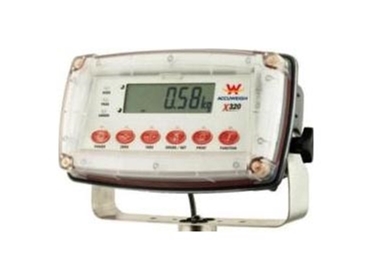 X320 weight indicators are ideal for use in harsh environments due to their IP69K rating which can withstand direct hosing with high pressure water up to 1400psi and at water temperatures to 80ºC.